SEATTLE – The federal government’s unmanned drones patrolling the U.S.-Canadian border are venturing into Washington’s airspace. In testimony before a U.S. Senate panel last week, Homeland Security Secretary Janet Napolitano said northern border surveillance using unmanned aerial aircraft now expands from North Dakota to Eastern Washington. The two 10,000-pound Predator-B unmanned aircraft based in Grand Forks, N.D., have a 950-mile coverage range and “do enter Washington airspace, in the vicinity of Spokane,” Customs and Border Protection spokeswoman Gina Gray said Thursday. Since 2005, the Department of Homeland Security has deployed a handful of drones around the country, with some based in Arizona, Florida, North Dakota and Texas – with more planned for the future. Operations out of North Dakota first began in 2011. The drones help both patrol and aid during natural disasters. For example, Gray said, the Predators have mapped the flooded Red River Valley in the areas of North Dakota and Minnesota. The drones are equipped with cameras that can provide aerial pictures of disaster areas. The drones also can be loaned to local agencies in cases of emergencies. 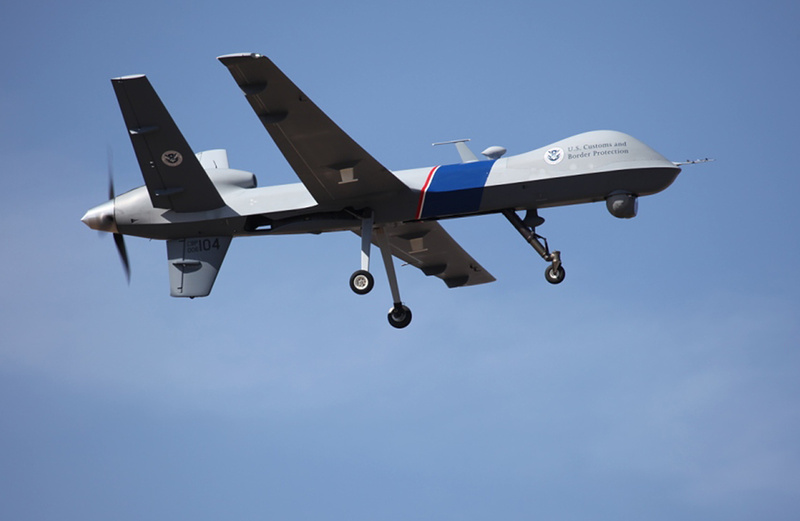 In fiscal year 2011, CBP’s drones contributed to the seizure of 7,600 pounds of narcotics and 75 arrests, Gray added. The use of drones has proliferated among federal and local law enforcement agencies nationwide along with civilian hobbyists in recent years. In December, Congress gave the Federal Aviation Administration six months to pick half a dozen sites around the country where the military and others can fly unmanned aircraft in the vicinity of regular air traffic, with the aim of demonstrating they’re safe. But concerns remain, including privacy, and the government worries they could collide with passenger planes or come crashing down to the ground – concerns that have slowed more widespread adoption of the technology. Kendle Allen, sheriff of remote Stevens County, said his agency has not asked for drone assistance. “There is always mixed feelings about something flying above you,” Allen said. But he said in Stevens County’s rugged mountainous terrain, aerial patrol can be useful in case of emergencies. His office has used U.S. Border Patrol helicopters in the past to search for people missing in the woods.